Construction has begun on 505-517 W. 31st Street, a seven-story building that will house up to 187 people. 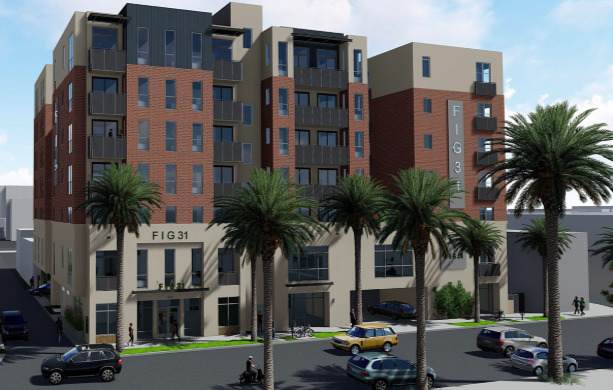 The building will consist of 73 apartments, including eight affordable housing units. The NANDC Policy Committee had a significant effect on the overall design of the building to give it an industrial look more appropriate for the area. The Committee engaged in a dialogue with the developer that resulted in design and landscaping changes. At the August 22, 2017 meeting the developer showed the original design, then modified the design presented at last meeting. NANDC Board supported the project moving forward. · Plaque on building to acknowledge historic use of the land. The Stewart Farmhouse had been relocated from the site to Highland Park.